So remember how I postponed The Mountain of Almost Certain Doom due to workflow issues and what not, and choose to do a traditional, (for this comic at least) halloween story line? Well now I've fallen behind on that too! 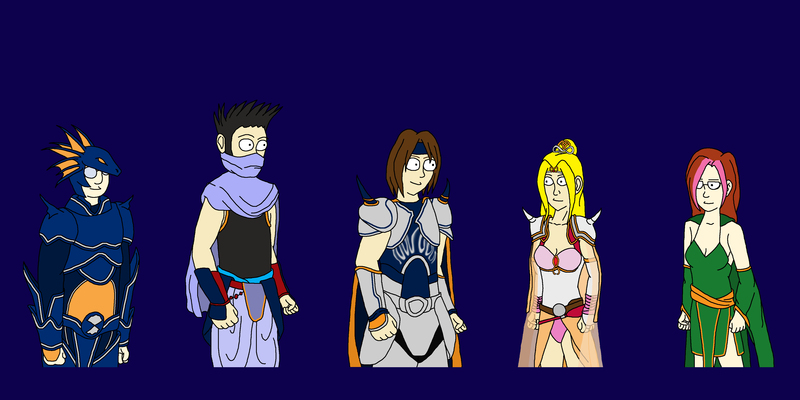 I'm a bum, but in my defense putting the five main characters in Final Fantasy costumes isn't the simplest thing to do. It's pretty much making a completely new character from scratch, five times, because there's five of them, but I digress. 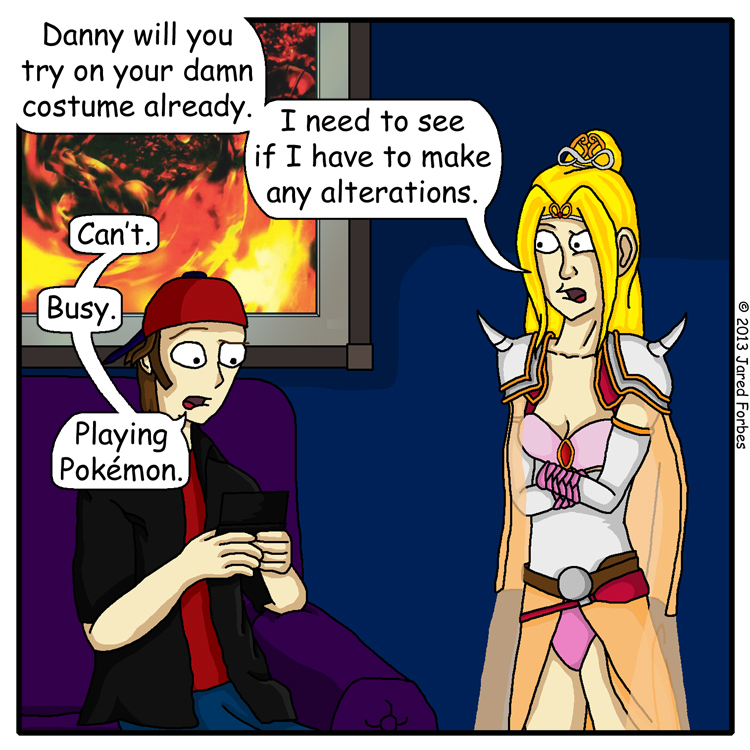 Also Pokémon X and Y came out this weekend, which I swear is only 27% responsible for the comic falling behind. So anyway, sorry for the copout comic today, rest assured I am working on it, and not simply catching 'em all.